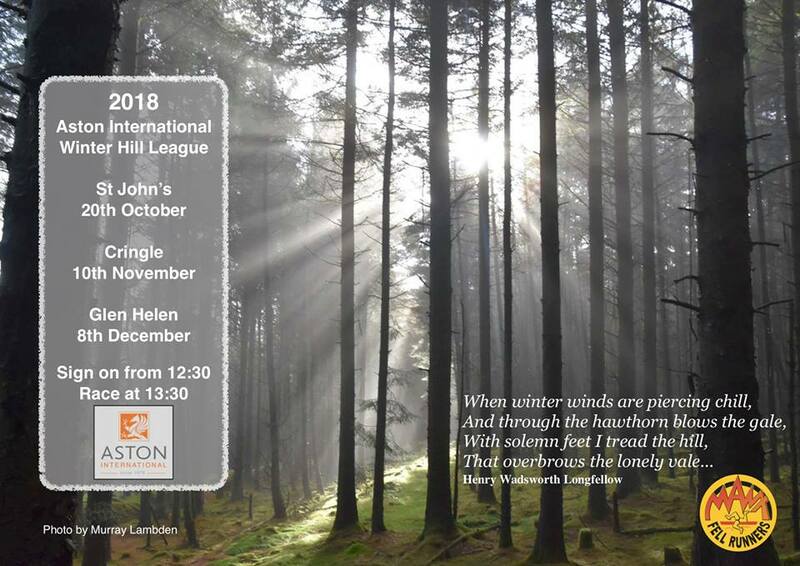 The popular Winter Hill League, sponsored by Aston International, kicks off on Saturday 20th October with the 3km Slieau Whallian race. This fun but challenging course will be fully marked and offers an ideal introducing to fell running for anyone aged 12 or over. Registration will be held in the old station car park from 12:30, race starts at 13:30. Cost is £5 for seniors, free for juniors. If weather conditions are particularly foul we may relocate to a bigger bus stop, or the Tynwald Inn, for registration - keep an eye on Facebook for any updates. 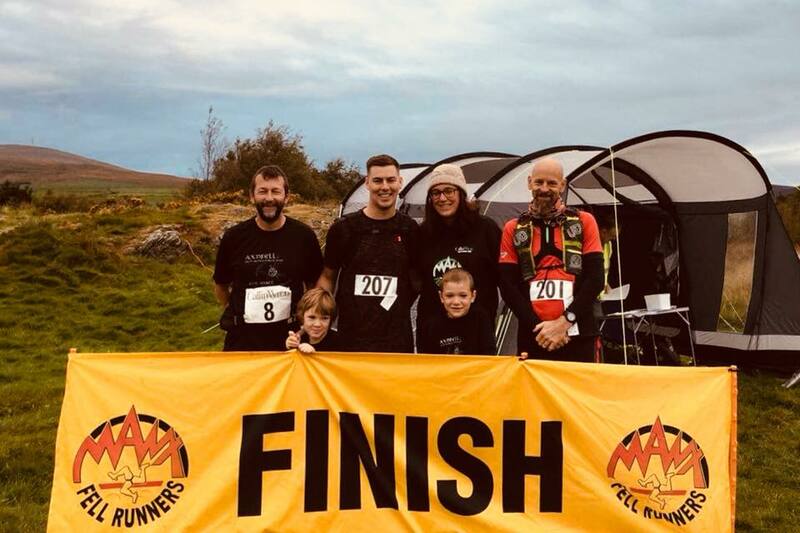 The Manx Fell Runners 2018 Prize Presentation & AGM will take place on Saturday 10th November at the Embassy Room (above the British Pub in Douglas) at 7pm. 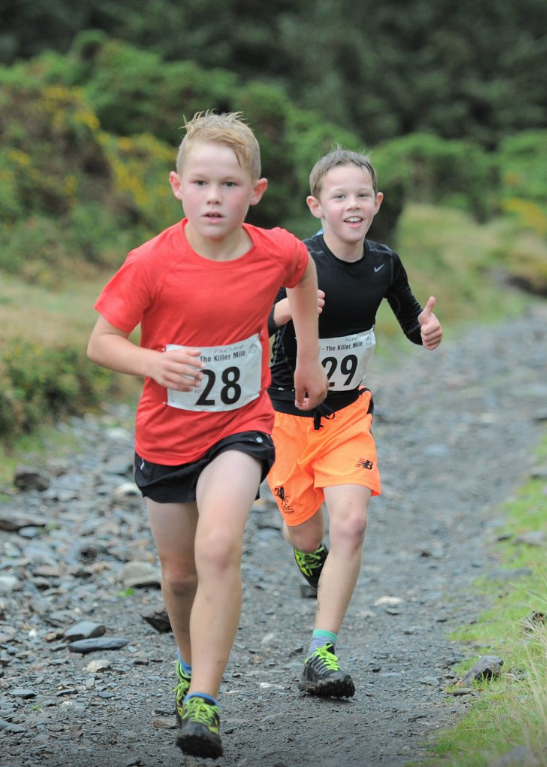 The evening will begin with the prize presentation for the inaugural Junior Fell Running League - parents should now have been notified by email with details. After the junior presentation and AGM formalities, the eagerly anticipated hoodies will be unveiled as part of the 2018 Manx Fell Running League Presentation, sponsored by Callin Wild. LEAGUE QUALIFIERS - PLEASE LET US KNOW YOUR HOODY SIZE HERE! Fine conditions have been a welcome feature of this event over recent years! Full race report can be downloaded HERE. Entries will be accepted on the day also. Scroll down for route maps! Results for both races can be found on the results page or via the links below. The updated league standings will be published soon. League standings to date can be viewed at the links below. Note that for 2018 the men and women are separated into different leagues but I have included the combined league to satisfy any curiosity! Points are allocated per race (combined for men and women) as per the league rules (100pts for 1st, 98 for 2nd and so on). If you entered a new category during the season then your league category will be as of January 1st 2018. I've included runners who have completed 4 races already and need one more race (Axnfell) to qualify. Remember that runners must have completed a long race to qualify. Common issues with the league include alternatively spelt names (Dave/David, Rich/Richard etc) and runners joining or switching clubs mid-season. I've tried to correct anything I've spotted but please let me know if anything seems amiss. In cases where you may have finished a race with another runner then points will only be equally allocated if the results/timekeepers indicate a dead heat. If you spot any results you think need amending then let me know.....but I'd ask that if it doesn't affect the overall rankings then it'd save me a fair amount of work to keep it as is! 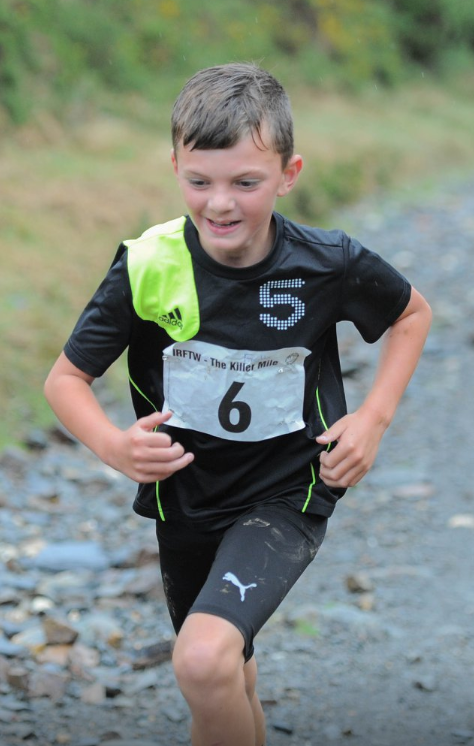 The race will be dedicated to Matt McSevney with all entry fees being donated to CruzeKids part of Cruse Bereavement Care IOM, a local charity that have helped and supported the family. 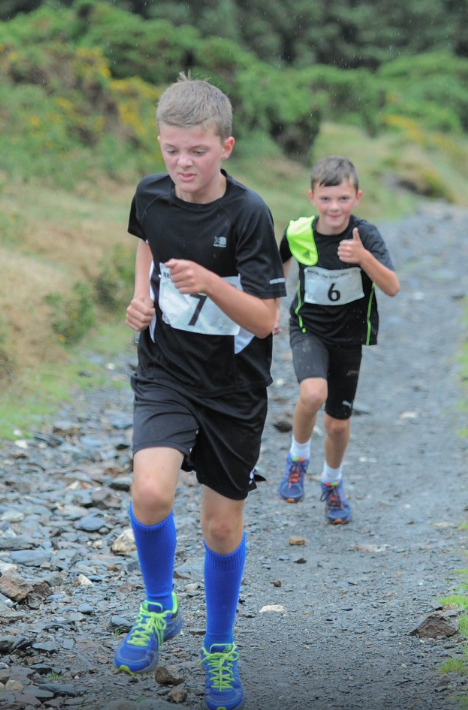 The final counter in the Callin Wild Fell Running League takes place on Saturday 15th September with the re-introduction of the eagerly anticipated Axnfell Race. In recognition of the difficulty of this race and to make it more inclusive for those who may not have had the opportunity to put in the necessary training, we are running a shorter "Short Ax" race in conjunction. 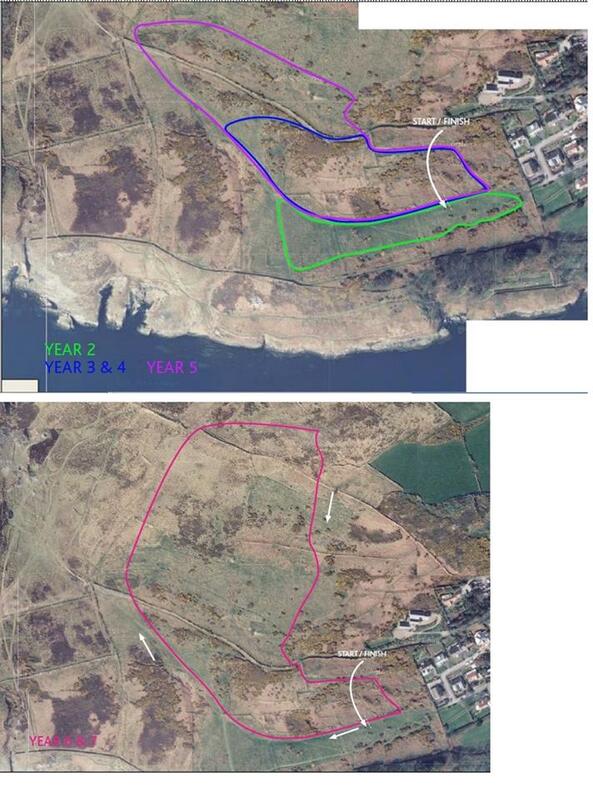 This AS category race will start alongside the long race but take a shorter 10km route to the Bungalow and back. Start time will also be 8am from the same location. Minimum age is 16 on the day of the race. 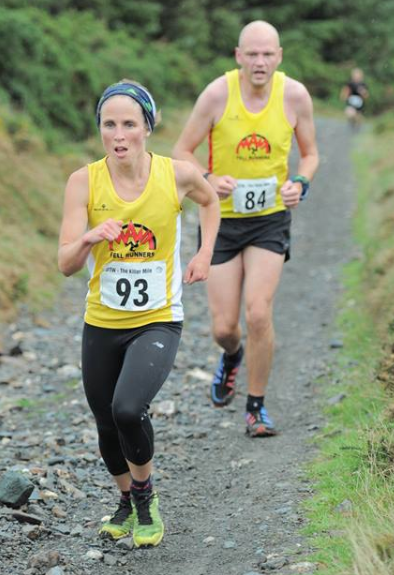 Note that this shorter race DOES NOT COUNT toward the Callin Wild Manx Fell Running league. 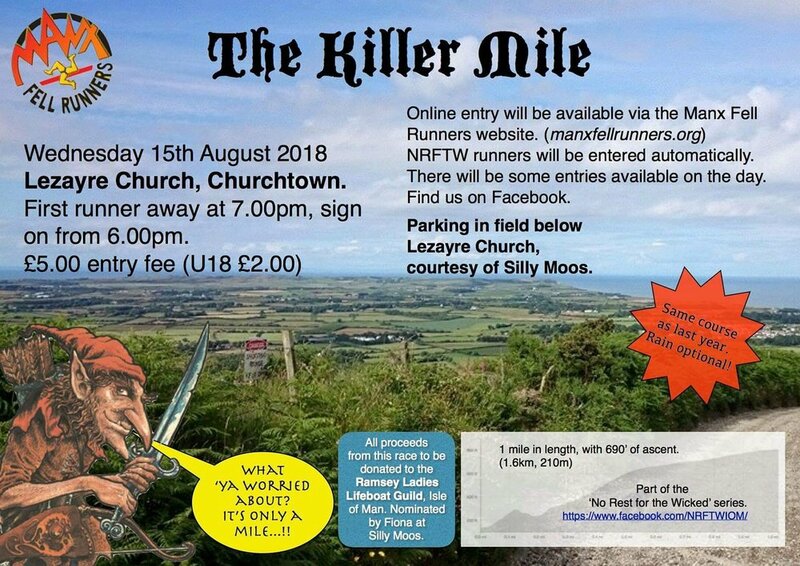 Online pre-entry is available at the link below along with the route descriptions and maps. Despite the now typical weather for the Killer Mile, there was an excellent turnout of 98 runners on Wednesday evening. Chris Reynolds excels over these short, sharp courses and took the win over NRFTW half marathon series leader Orran Smith with Matt Callister having a great run to take 3rd. 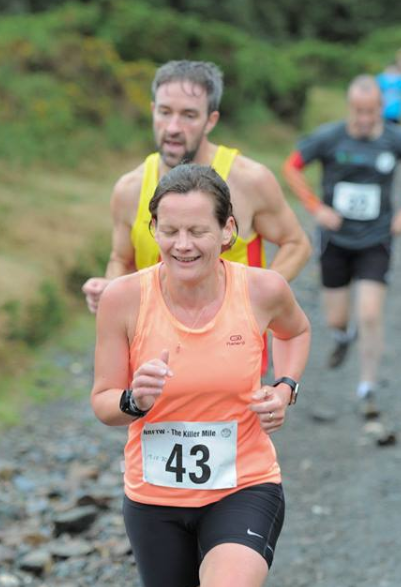 Eleanor Miklos finished high up the field to finish top lady, followed by Northern AC's junior, Catherine Perry and NRFTW marathon series leader, Kirsty Arnold. It was pleasing to see a large number of younger runners tackling the course with Northern AC once again providing a strong contingent of well placed competitors. Thanks to all the helpers, timekeepers, marshals and to Silly Moos for the use of their land for parking and registration. All entry fees will be donated to the Ramsey Ladies Lifeboat Guild, as nominated by Silly Moos. Bring an umbrella just in case! Online pre-entry has now closed - a few entries will be available on the day. NRFTW runners have been entered automatically. Please arrive early - start times will be allocated on a first come first served basis. Thanks to all helpers, marshals and runners - tough course!